The Leibniz Institute for Research and Information in Education supports educational research, educational practice, educational policy and educational administration on the basis of scientific infrastructure services as well as research and educational system evaluations. As a member of the Leibniz Association, DIPF aligns fundamental research with innovative developmental work and its implementation to the benefit of society. The German Institute for Adult Education – Leibniz Centre for Lifelong Learning (DIE) is a forum in the fields of research and practice of continuing education in Germany and member of the Leibniz Association. The institute pursues the socio-political objective of conducting research on Adult Learning and Education and developing a more successful educational environment. Thus, it aims at creating conditions for personal development, social participation and employability. To meet those goals, the DIE conducts individual research. It supports practice by transfering academic findings and services. The FIZ Karlsruhe – Leibniz Institute for Information Infrastructure is a leading international provider of scientific information and services. The central mission is to supply scientists and companies with professional research and patent information as well as to develop innovative information services. The Georg Eckert Institute for International Textbook Research conducts application-oriented, multidisciplinary research into textbooks and educational media, informed primarily by history and cultural studies. GESIS – Leibniz Institute for the Social Sciences is the largest infrastructure institution for the Social Sciences in Germany. GESIS renders research-based infrastructure services for information research, the planning and methodology of studies, and the collection, preparation, analysis, registration and archiving of research data from the social sciences. The German Institute of Global and Area Studies is a research institution for Area Studies and Comparative Area Studies focussing on political, economic and social developments in Africa, Asia, Latin America and the Middle East. The Herder Institute for Historical Research on East Central Europe is one of the central facilities of historical East Central European research in Germany. The Institute is a member of the Leibniz Association. The Institute focuses on the history and culture of Poland, Estonia, Latvia, Lithuania, the Czech Republic, Slovakia and the Kaliningrad region. The Institute for the German Language (IDS) is the central non-university institution for the study and documentation of the contemporary usage and recent history of the German language. The institute’s mission is the development and promotion of science and mathematics education through research. The institute puts its focus on the fundamental research questions concerning the teaching and learning of sciences and mathematics. The Leibniz-Institut für Wissensmedien is an international leader in the research of digital media’s influence on the acquisition, exchange and communication of knowledge. Its application-oriented fundamental research is based on the interlocking of psychological and media technological expertise. The Leibniz Institute for Psychology Information (ZPID) is the supra-regional scientific research support organization for psychology in German-speaking countries. It is committed to the idea of open science and sees itself as a public open science institute for psychology. Schloss Dagstuhl – Leibniz Center for Informatics is the world’s premier venue for informatics. World-class scientists, promising young researchers, and practitioners come together to exchange their knowledge and to discuss their research findings. Schloss Dagstuhl supports their scholarly work with a specialist library, the Open Data literature database dblp and as a publisher of academic Open Access publications. The German Socio-Economic Panel (SOEP) is a wide-ranging representative longitudinal study of private households, located at the German Institute for Economic Research, DIW Berlin. Every year since 1984, nearly 11,000 households, and more than 20,000 persons have been sampled by the fieldwork organisation TNS Infratest Sozialforschung. The data provide information on all household members, household composition, occupational biographies, employment, earnings, health and satisfaction indicators. Since the same persons are questioned every year, long-term social and societal trends can be traced. The German National Library of Science and Technology is the world’s largest library in its fields and supplies national and international research and industry with literature and information. The TIB Open Science Lab founded in 2013 is an incubator for advancing innovative technologies in the field of knowledge infrastructures. The ZBW – Leibniz Information Centre for Economics is the world’s largest information centre for economic literature. The ZBW is a member of the Leibniz Association and a foundation under public law. Research at the ZBW focuses on Science 2.0/Open Science, Web Science and Knowledge Discovery. The Centre for European Economic Research (ZEW) in Mannheim was founded in 1990. The ZEW pursues four key objectives: to conduct research of the highest quality, to provide scientifically grounded economic policy advising, to train up-and-coming economists, and to provide knowledge transfer to the public. Founded in March 2012, the Alexander von Humboldt Institute for Internet and Society is meant to enable innovative scientific research in the field of internet and society. Within the Leibniz Research Alliance Science 2.0, the HIIG contributes to the research area Open Science and two projects..
As a contribution to the Leibniz Research Alliance Science 2.0, the Department of Computer Science at Kiel University researches innovative methods for the collection, processing and publication of research data. The DFG-funded project PubFlow examines new approaches to automated workflow support for the publication of research data and evaluates them in experiments. The L3S is a research center for basic and applied research in the field of Web Science. The L3S researchers develop new, innovative methods and technologies that enable intelligent and seamless access to information on the Web, link individuals and communities in all aspects of the knowledge society – including science and education, and connect the internet to the real world and its institutions. The Hans Bredow Institute for Media Research aims to understand how the media – the traditional as well as the new – shape society’s everyday life, to assess new developments and their opportunities and risks, and to provide orientation for action. To this end it combines the perspectives of empirically grounded social science and regulation-oriented jurisprudence. Information Science at HHU carries out research in a broad spectrum of many areas of Information Science, which also accommodates teaching in its bachelor and master studies. These areas include Web Science, Social Media and Web 2.0, Recommender Systems, Emotional Information Retrieval, Blended Learning and Gamification. The Faculty of Computer Science, Mathematics and Natural Sciences was established in 1992 as a successor to the corresponding faculties of the former TH Leipzig. It offers courses in Computer Science, Media Informatics and Applied Mathematics which were accredited in 2006 and 2013. With these, the faculty continues the tradition of high-quality, practice-oriented teaching of these subjects. The Ibero-American Institute (IAI) is an interdisciplinary centre for academic and cultural exchange between Germany and Latin America, the Caribbean, Spain and Portugal. It is home to the largest specialist library in Europe for the Ibero-American region. It is also a place of knowledge production, exchange and cultural translation. Impact Distillery offers data science as a service (DSaaS). It supports companies and political organisations in making informed decisions using traditional statistics and modern machine learning technologies. The Know-Center is Austria’s leading research center for data-driven business and big data analytics. Know-Center conducts applied and interdisciplinary computer science research in five research areas. From search technologies, machine learning or knowledge extraction from big data-bases to the presentation and visualization of massive amounts of information, efficient use of information in social media channels, collection of personal data via desktop- and mobile sensory devices and intelligent software solutions. The Centre for Digital Cultures scrutinises the digital shift through research in disciplines such as media, cultural and social studies, through knowledge creation and transfer, as well as through experimental and interventionist media practices. 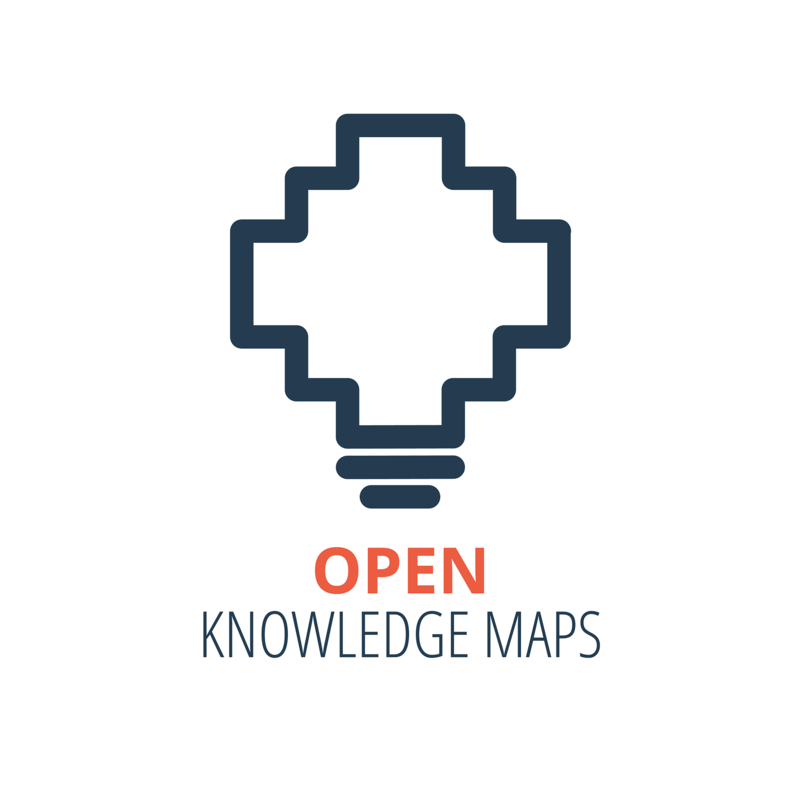 Open Knowledge Maps was founded to enable all members of society to discover and reuse scientific knowledge and to share the insights gained in this process with others. To this end, the non-profit develops a visual interface to the world’s scientific knowledge following the principles of open science. The Saxon State and University Library Dresden is a research library with a wide collection. It offers special expertise in the fields of retrodigitisation, data mining, standardisation of formats and research discovery.. Since summer term 2012, scientists of the Institute for Management Information Systems have been teaching and researching topics in the overlapping fields of computer science, business administration and engineering with a particular focus on decision support systems for enterprises. The Research Initiative for Knowledge Discovery on the Web (WeRC), founded at the TU Darmstadt in 2010, is an interdisciplinary working group on knowledge processing focusing on Web 2.0. 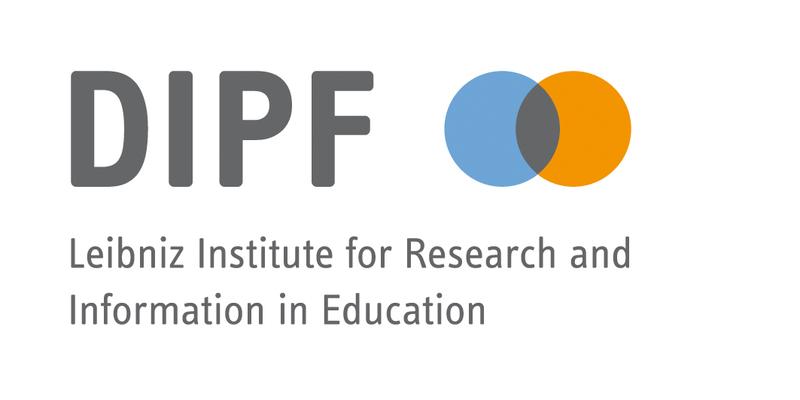 Of particular potential is the Web 2.0 with its so-called “wisdom of crowds.” The German Institute for International Educational Research (DIPF) is a cooperation partner in this venture. The University and State Library at the TU Darmstadt provides services for the university and the general public in Darmstadt and South Hesse as well as for local education and research institutions, public authorities, cultural institutions and enterprises. The Media Centre (MC) is a central unit of the TU Dresden dedicated to investigating and supporting teaching, learning and research by means of digital media technologies. The MC represents the ESF-funded eScience Research Network Saxony, whose aim it is to develop and disseminate research on the use of information and communication technologies at Saxon universities. 400 journal articles and numerous national and international studies. The working group media computer science focuses on Linked Open Data and Knowledge Discovery as applied to research data as well as personalised Just-in-Time Retrieval to support scholarly communication processes. The University Library Mainz regards itself as an innovative and professional service provider of the Johannes Gutenberg University of Mainz. The University Library Mainz supplies the lecturers, researchers and students of the University of Mainz and anyone else with literature and information and provides learning and communication places as well as virtual research and information environments. The University Library Mainz has special expertise in the field of academic integrity.